Way back in early nineties, a small snow ball was formed in eastern India which has become a great avalanche today within a span of two decades having roots and branches spread across the breadth of the country. A clear visioned mentor of TWC Group, Mr Sushil Agarwal, a veteran in Indian Rubber Chemical business, well supported by his two sons, Abhishek and Ashish has never looked back since 1991. They inherited the wisdom of business economics and behavioral science from their clear visioned father. A big thrust in our R&D was given with the induction of Dr Raj Durairaj, an eminent Polymer Chemist in the field of Resin Chemistry. He is accredited with the authorship of the only book on Resorcinol Chemistry in the world. After successfully working in R&D for 25 years overseas, with an interest to settle in India, he teamed up with TWC GROUP to successfully conduct R&D on new generation products for the Rubber Industry. He leads TWC GROUP R&D wing from the front supported by Phd’s and post graduates. The marketing wing of the organization is rated the best in the industry. With a direct interaction with all customers, simulations and adjustments to customers requirement is spontaneous. 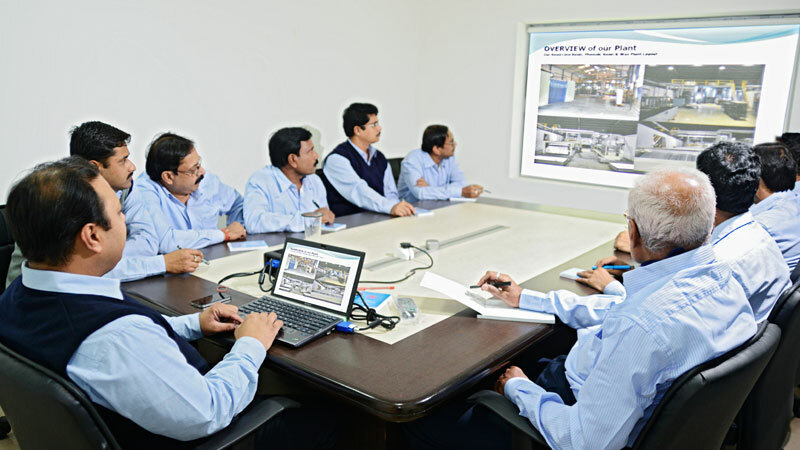 Providing employment to more than 250 employees, the plants are managed by technocrats having in-depth knowledge about products and its application in all the targeted Industry.